Reminding You To Enter the Invisalign Teen Choice Sweepstakes! 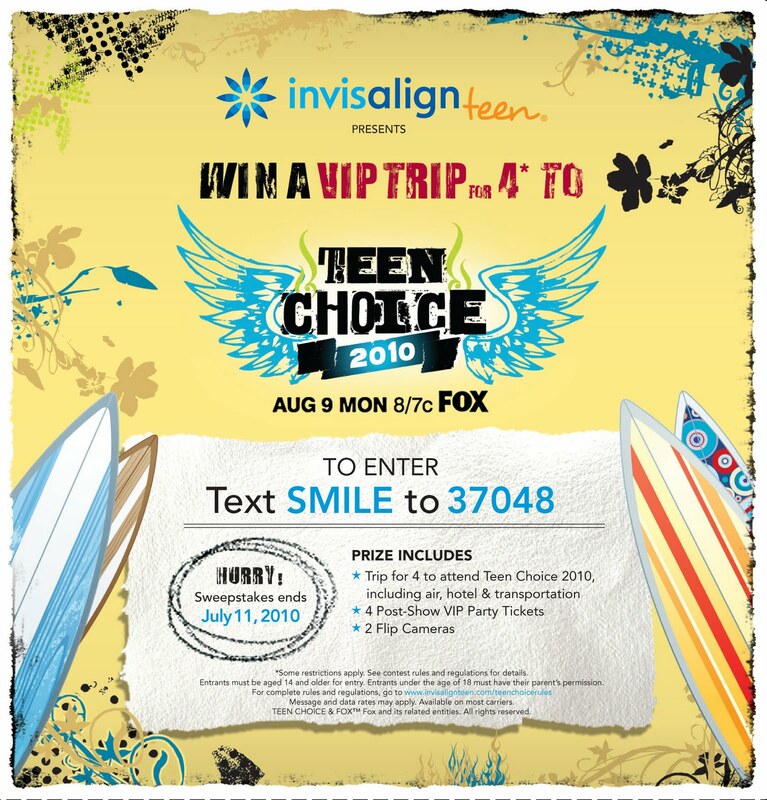 We wanted to share this Invisalign Teen Choice Sweepstakes information with everyone. The sweepstakes are from now until July 11th, and you could even win a trip to the Teen Choice 2010, along with several other great prizes. We encourage you to check it out!